Suffering from seasonal allergies? You definitely aren’t alone. Spring and fall are beautiful. But if you have hay fever, all the pollen in the air can make you want to stay inside until you can go out without the sneezing, runny nose, and itchiness in your nose, throat, and eyes. Even when the pollen count is high, you can still take steps to curb the symptoms of your seasonal allergies. Start with these nine simple tips we found on WebMD. 1. Go shoeless at home. After you’ve been outside, take your shoes off at the door so you track less pollen in. Got a dog? Wipe down his coat before he comes inside, too, because those allergens cling to fur. 2. Wash your hair before bed. That way, pollen that collected on your ‘do during the day won’t rub off on your pillow. The fresh air feels great. But it carries in the sneezy, yellow stuff you’re trying to avoid. So close windows and outside doors, especially on high-pollen days, and turn on the heat or the air-conditioning. 4. “Recirculate” in the car. Keep the windows and sunroofs closed, and recirculate the air instead of using the vent, which lets in pollen. Use the air conditioner and adjust the temperature to your comfort. 5. Switch out filters in your furnace and air conditioner. Change them as often as the maker recommends, or more often if it seems to help. 6. Adjust your indoor humidity level. If spores from mold cause your allergies, aim for a humidity level of less than 60%. Consider buying a digital thermometer with a humidity gauge, available for about $20 or less. You may need a dehumidifier to get a level lower than 50%. Set it up on the main living level of your home if it’s got more than one story. 7. Check the pollen count and plan your day accordingly. You’ll probably hear it on your forecast. Or you can check the website of the American Academy of Allergy, Asthma & Immunology’s National Allergy Bureau. You can sign up to get daily emails with that info, too. the predicted pollen count is high, try to plan your schedule around it. Delay errands and outdoor exercise until later in the day if possible, when pollen counts are often lower. Wear sunglasses, which can help keep the yellow stuff out of your eyes. Pollen counts are usually highest between 10 a.m. and 4 p.m. Weather conditions also play a role. Pollen sticks around in moderate temperatures with low humidity and a gentle breeze. Rain washes it away. The wind carries pollen, so a still day will usually have lower airborne levels. If you know the exact tree, grass, and weed pollens that affect you, you can try to remove them and replant types that you don’t react to. But it’s not a perfect fix, because airborne pollens can travel hundreds of miles from where they came from. If you can get someone else to mow the lawn or hire it out, do so. It stirs up pollens. And don’t sit outdoors around freshly cut grass. 9. Dry your clothes inside. Pollen can collect easily on clothing or bed linens left outside. 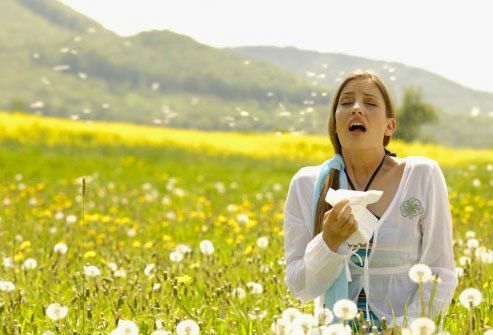 Hopefully these ideas help reduce your allergy troubles this spring. They are worth a shot, at least! Welcome to our blog. We are a family-owned and operated custom home builder in the Dallas-Fort Worth area. We have been in business since 2004 and are passionate about building our buyers the home of their dreams. We are starting this blog to provide design inspiration, home maintenance tips, and anything else we find interesting or timely. If you have feedback of things you would like to know more about or see more of, please don’t hesitate to leave us a comment letting us know. Happy home ownership!